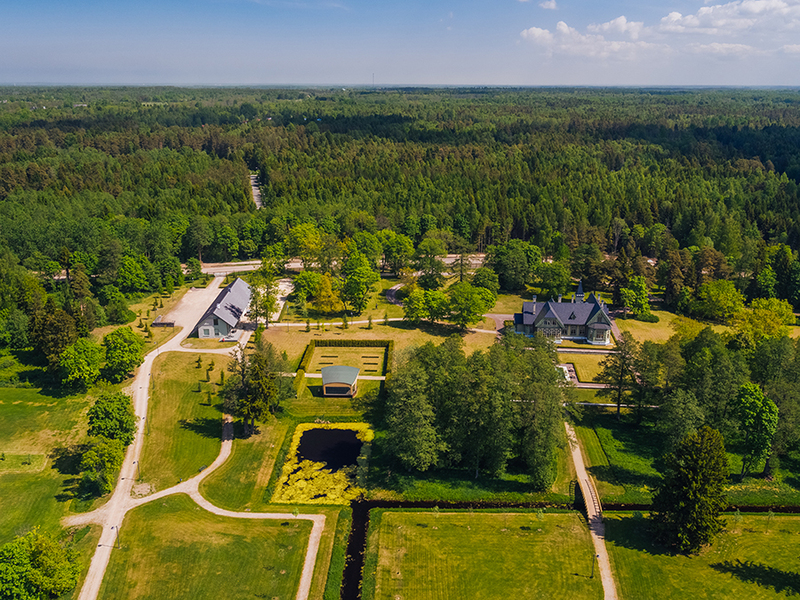 Kõltsu Manor, also known as Wellenhof (Wave Manor), was one of the smallest estates in the historical Keila parish, and it was established on the lands of Põllküla Manor in 1806. 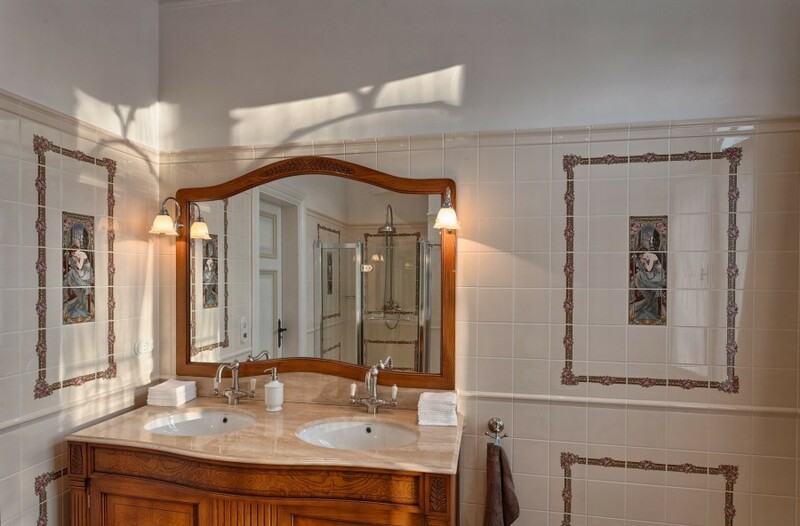 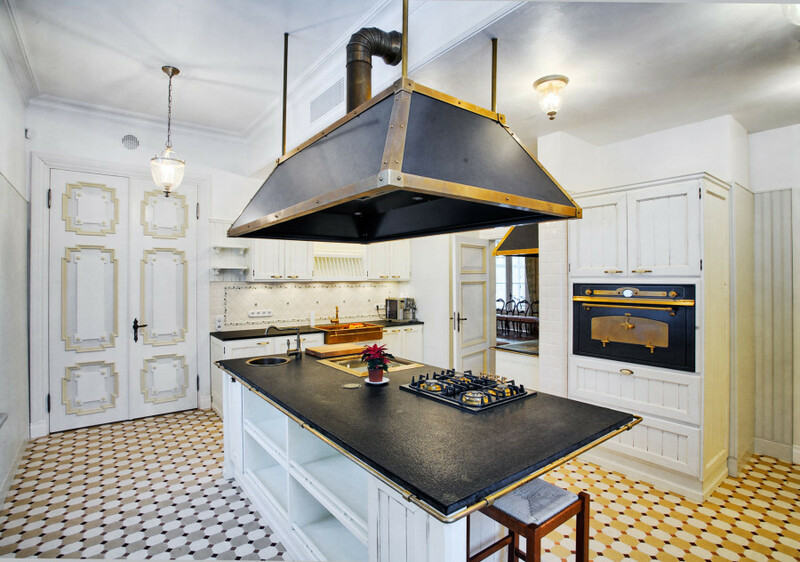 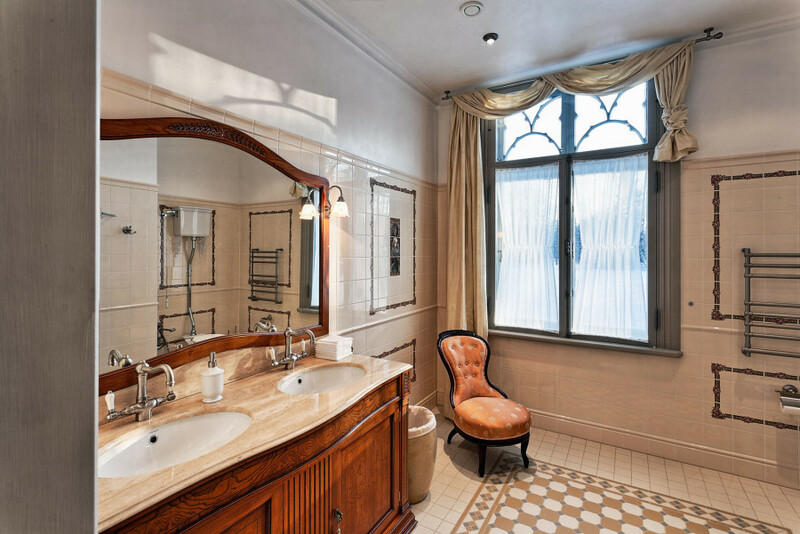 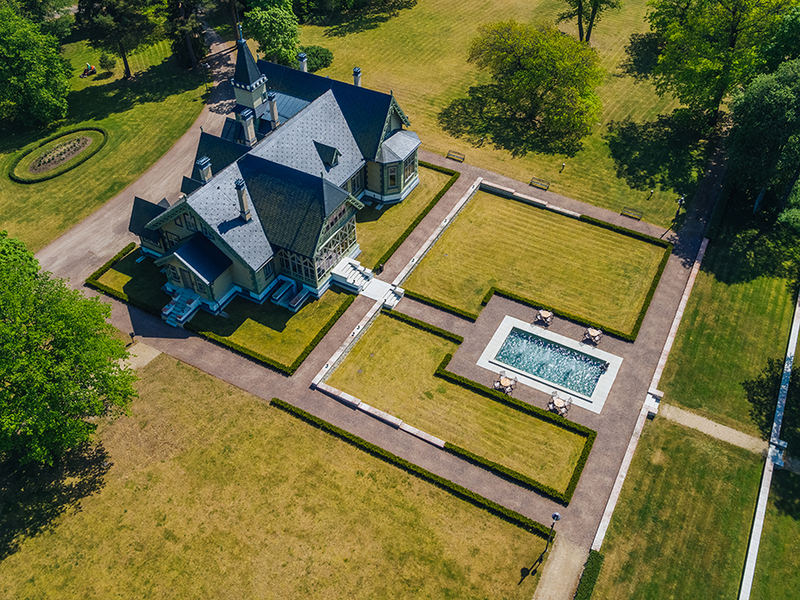 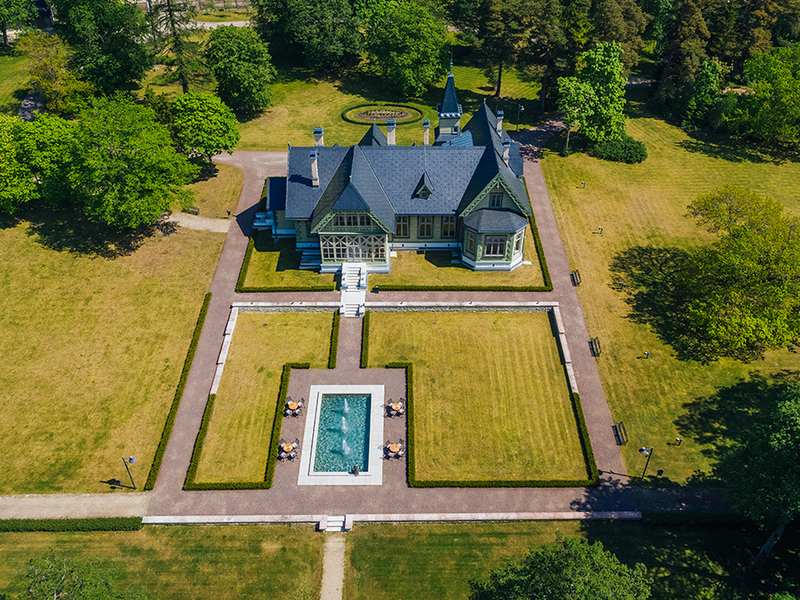 The villa that now stands – characterized by lively architectural rhythm and echoes of Swiss-style wooden architecture – was commissioned in the closing years of the 19th century by the Baroness Benedicte von Uexküll, who summered here until the early 20th century. 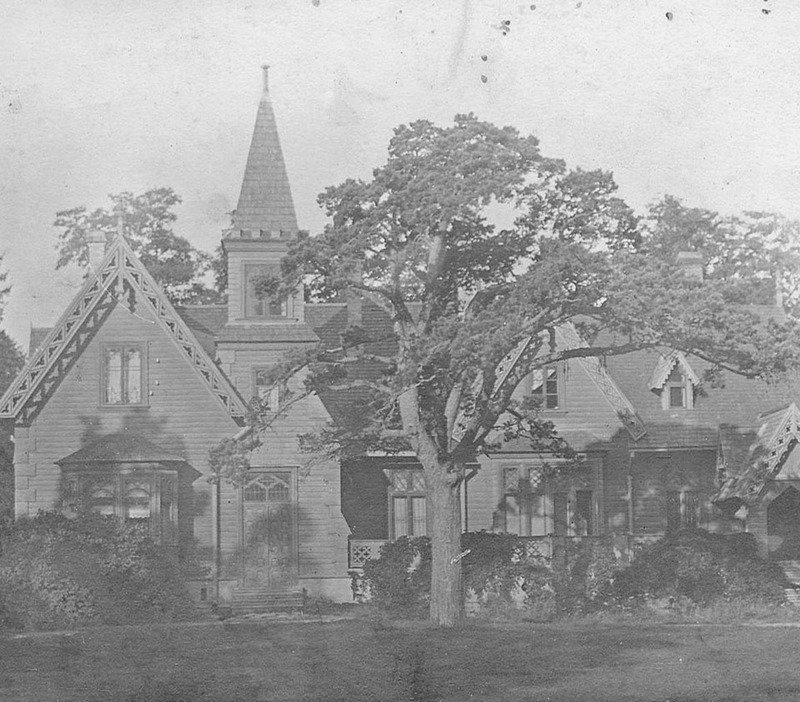 Along with the manor building, she also established a stately ornamental garden. 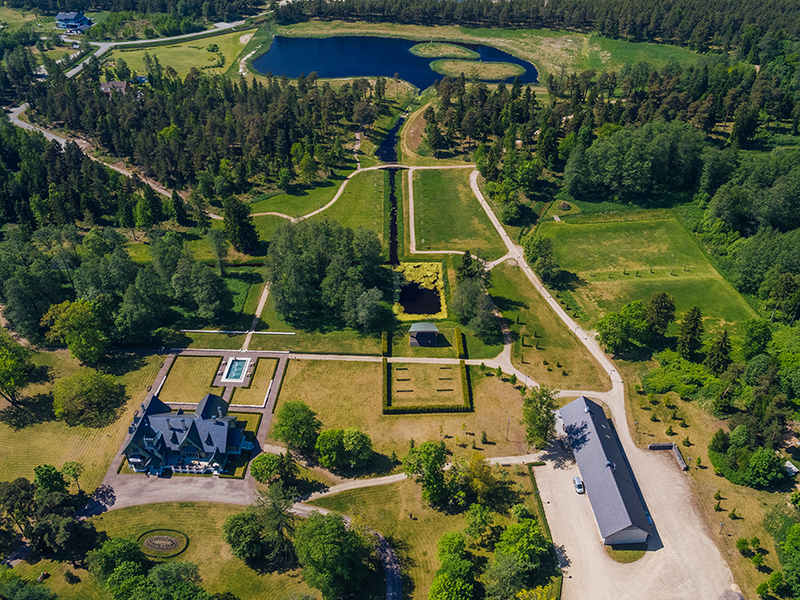 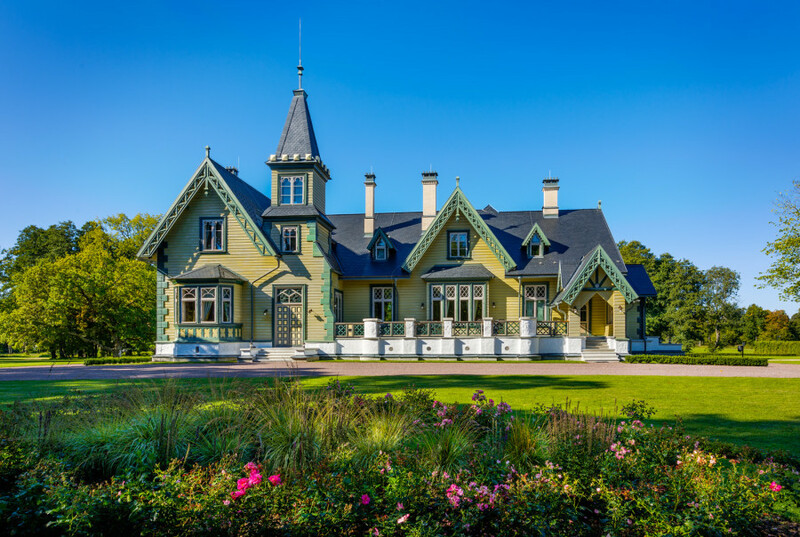 From 1909 until the first years of Estonian independence, Kõltsu Manor belonged to the Mohrenschild family; after World War II, the manor house was home to the Klooga Young Pioneer camp. 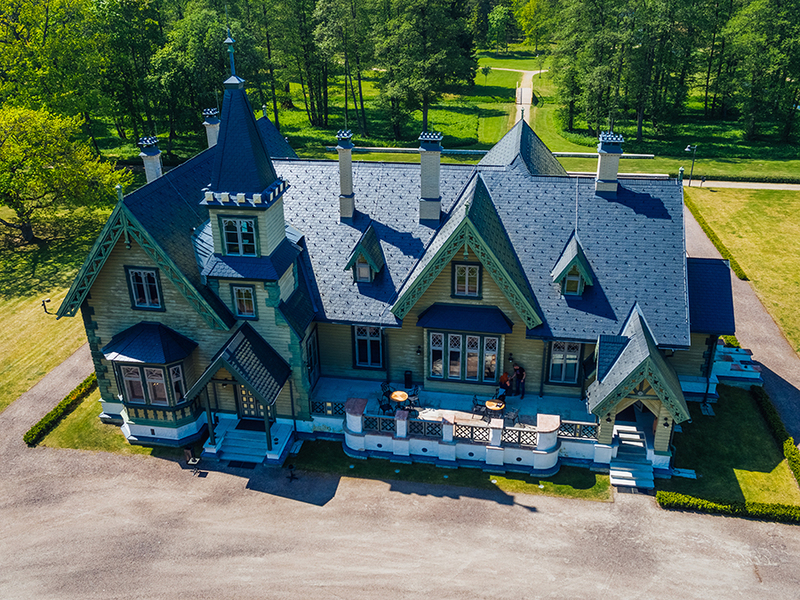 The restoration of the manor started in late 2007 and the new-look Kõltsu Manor was opened in 2010. 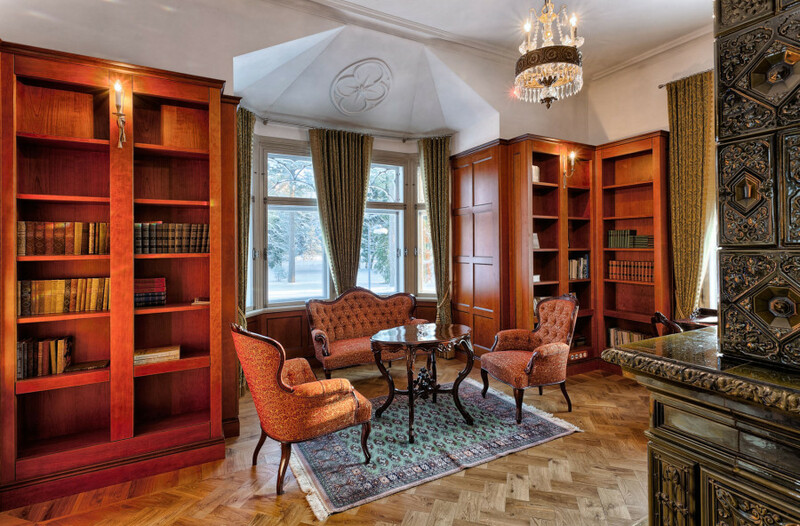 Architect Jüri Irik, interior designers Kaire Kemp-Tišler and Ea Andla restored the building to its original form, as a residence. 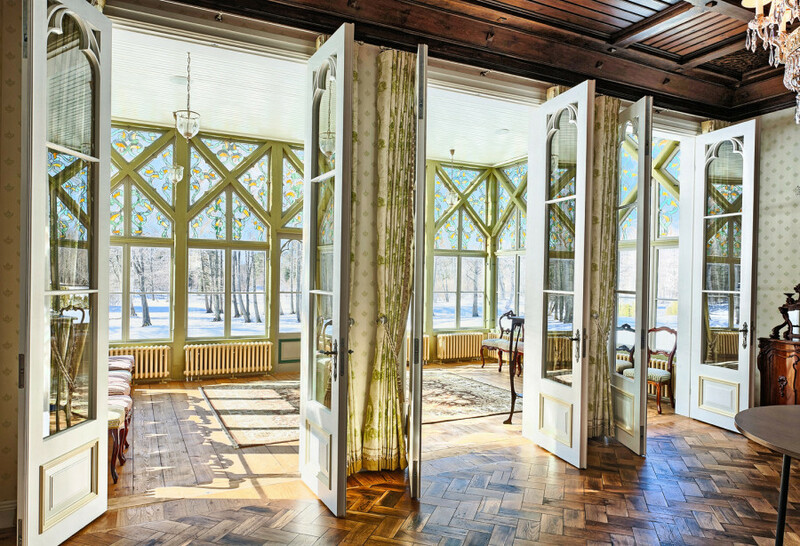 The doors were renovated, the windows with their beautiful wooden arches, two ceramic wood-burning fireplaces and the painted wood ceiling in the dining hall. 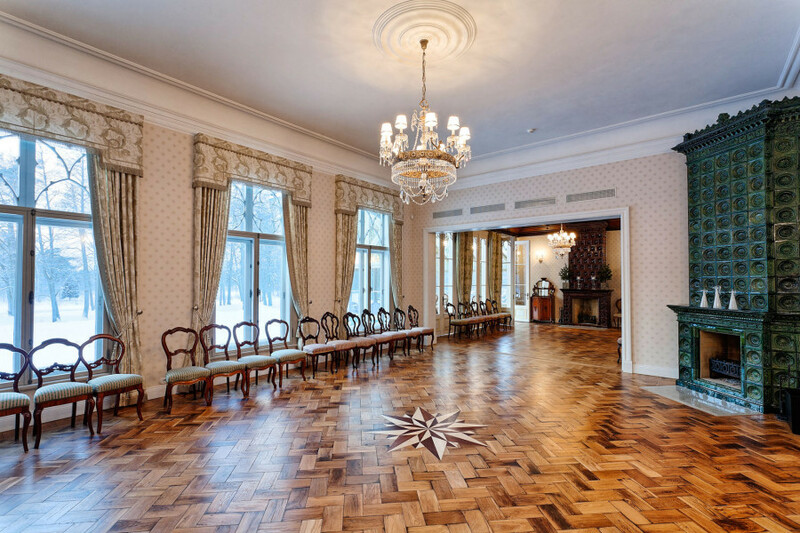 The floor of the main hall consists of authentic parquet that was salvaged from throughout the house, and it is now adorned by a wind rose restored according to the original design. 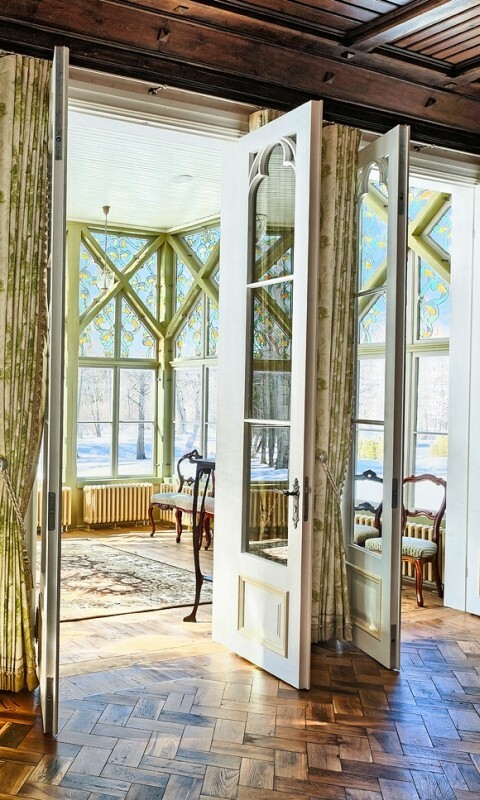 The stunning stained glass on the glass veranda and the partitioning wall between halls was designed by the artist Valev Šein. 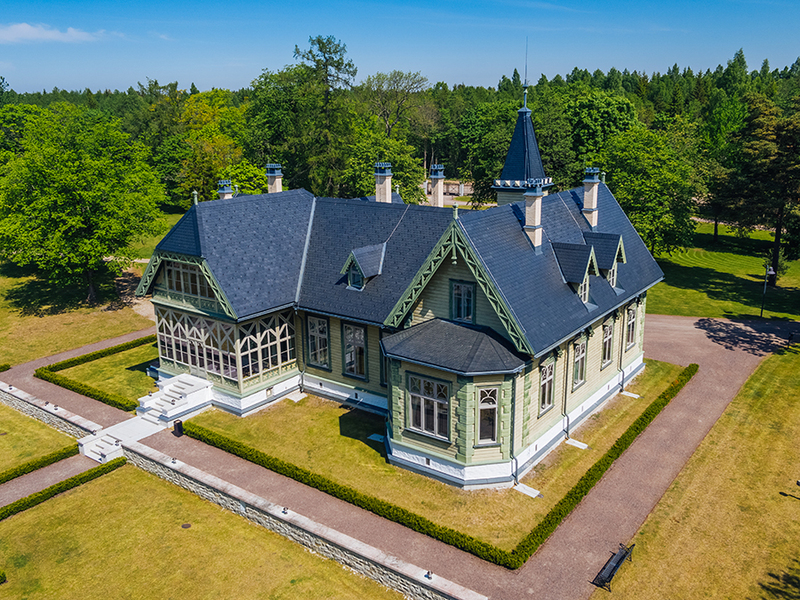 The wrought-iron fences and manor gates were made by Academy of Arts professor Heigo Jelle, who is known for artistic iron work. 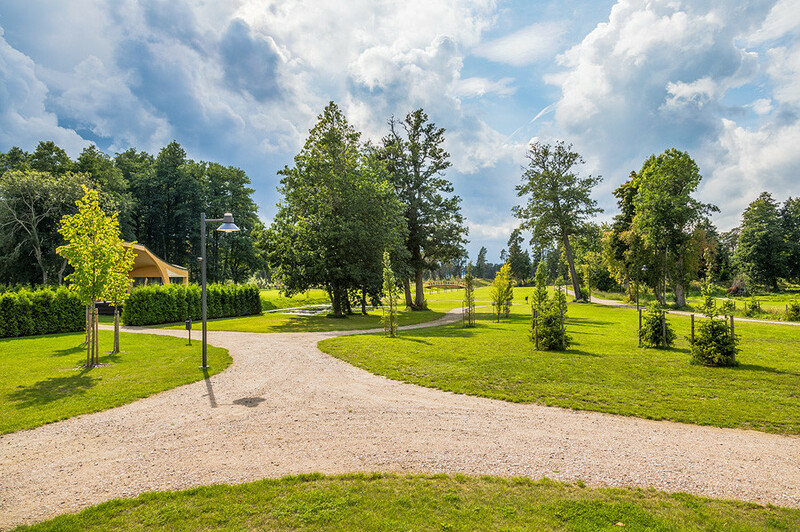 The manor park was redesigned into an integral ensemble according to drawings by landscape architects Ülle Grišakov and Triin Järve. 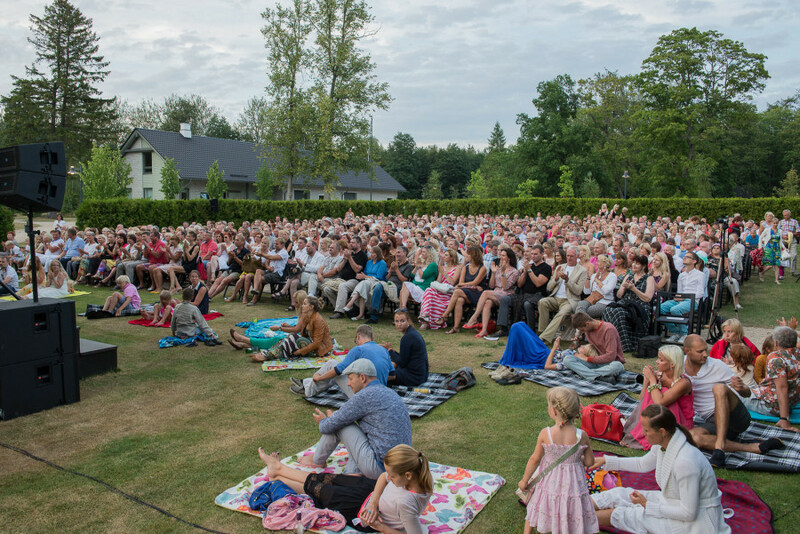 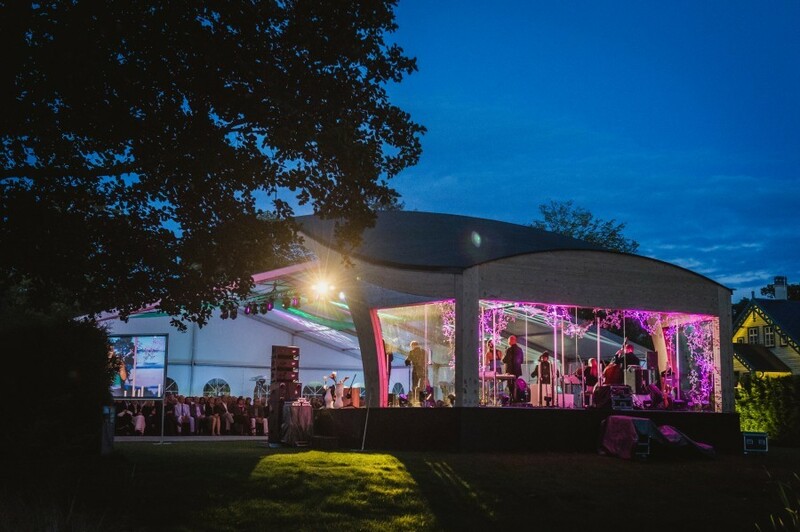 In 2012, a bandshell was built in the manor garden, where concerts by many esteemed musicians and other performances have taken place. 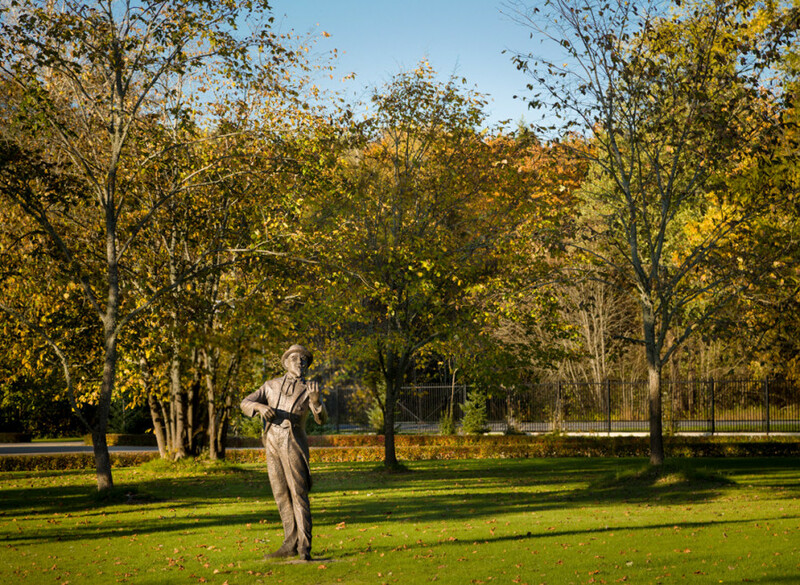 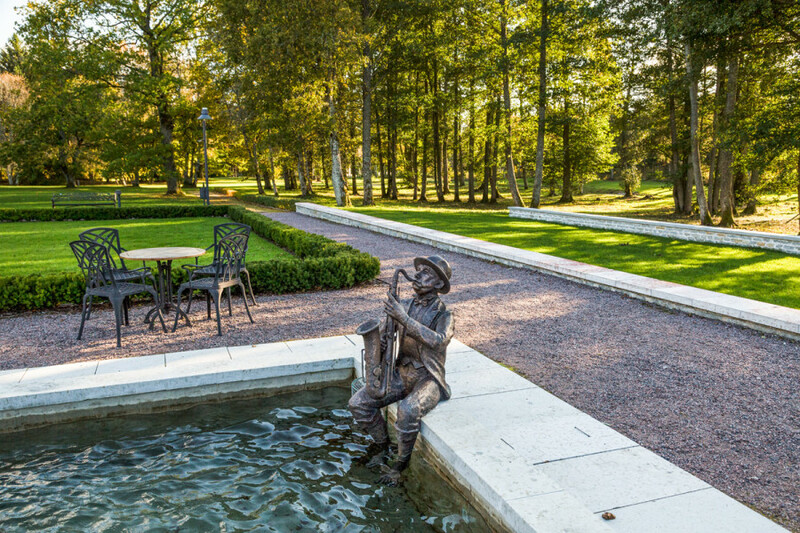 From summer 2014, the manor garden is graced by bronze sculptures of a violinist and saxophonist designed by Simson von Seakyl and Paul Mänd. 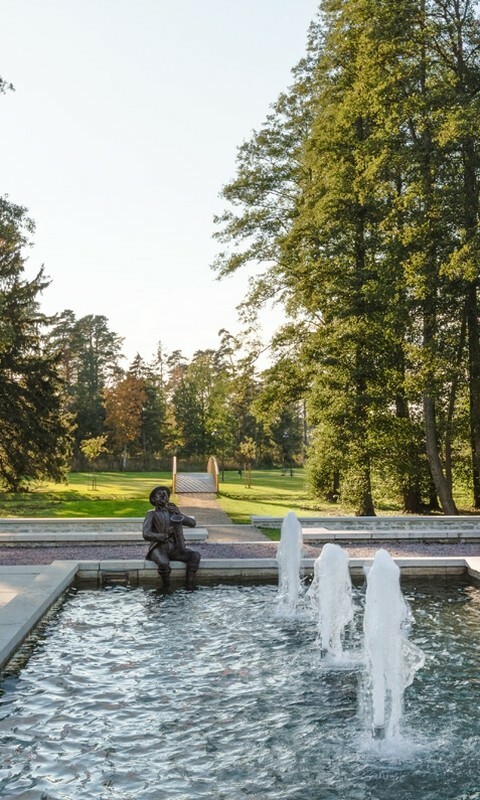 The garden makes a smooth transition to forest park where well-groomed paths lead over light arched bridges and around an island-dotted lake to the seashore. 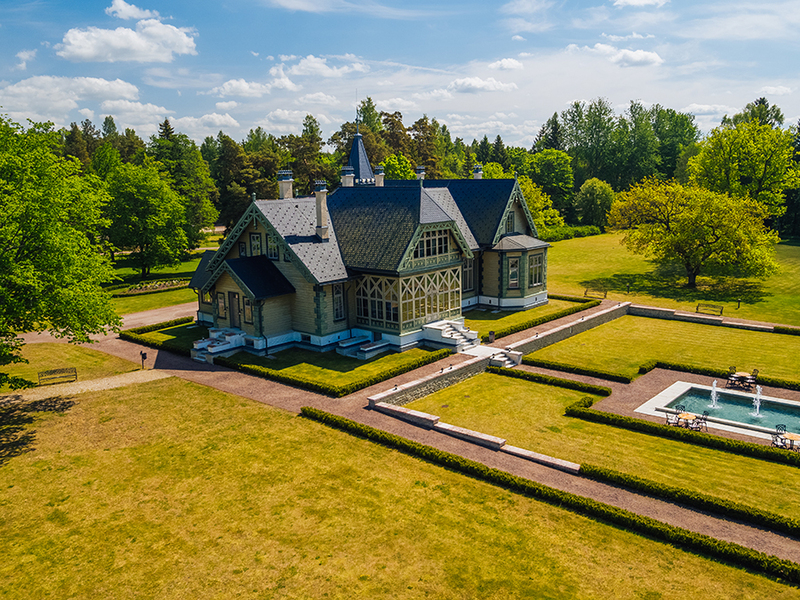 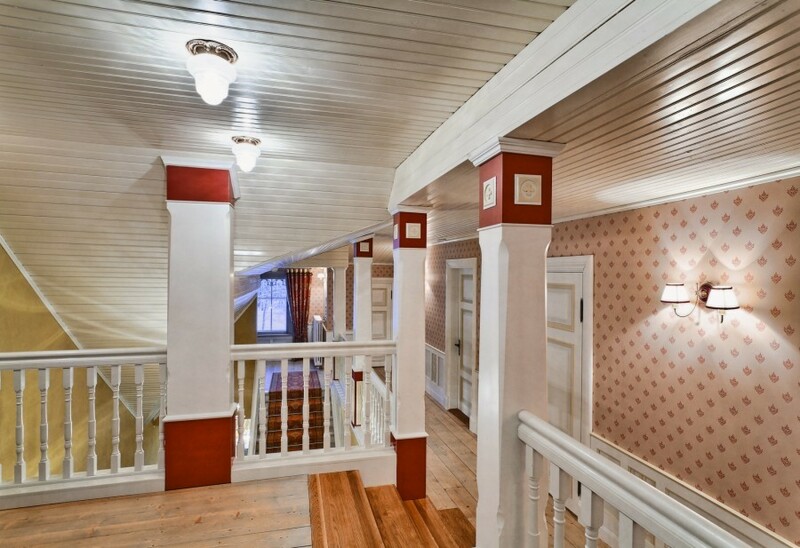 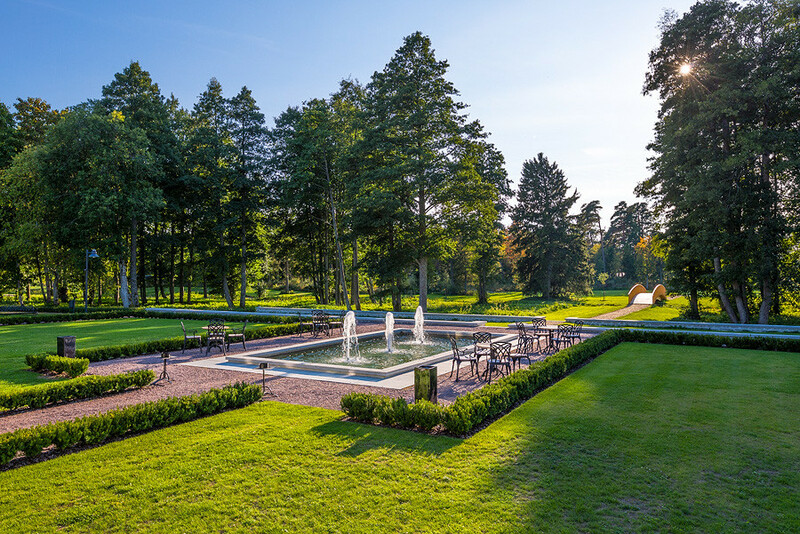 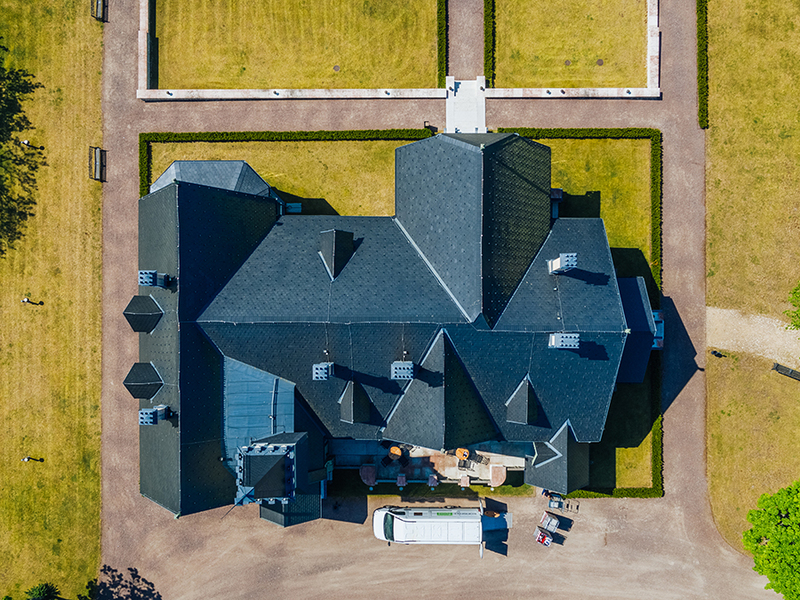 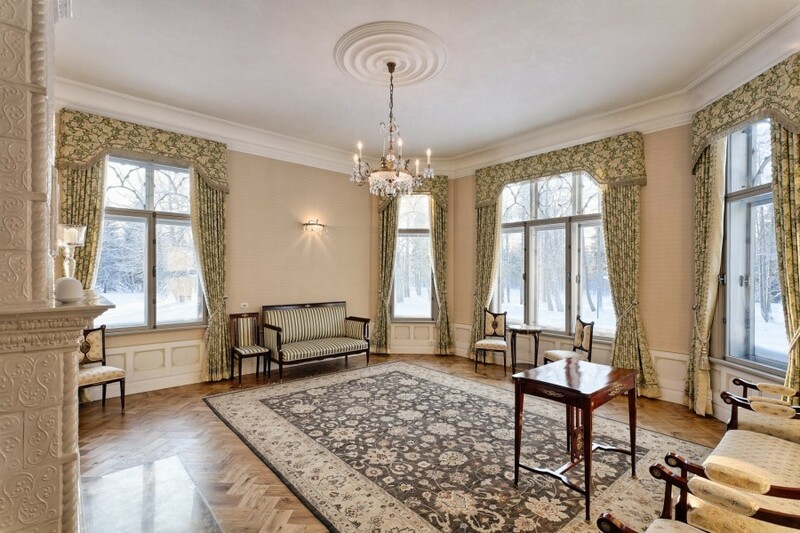 Kõltsu Manor is open for beautiful, dignified and memorable events. 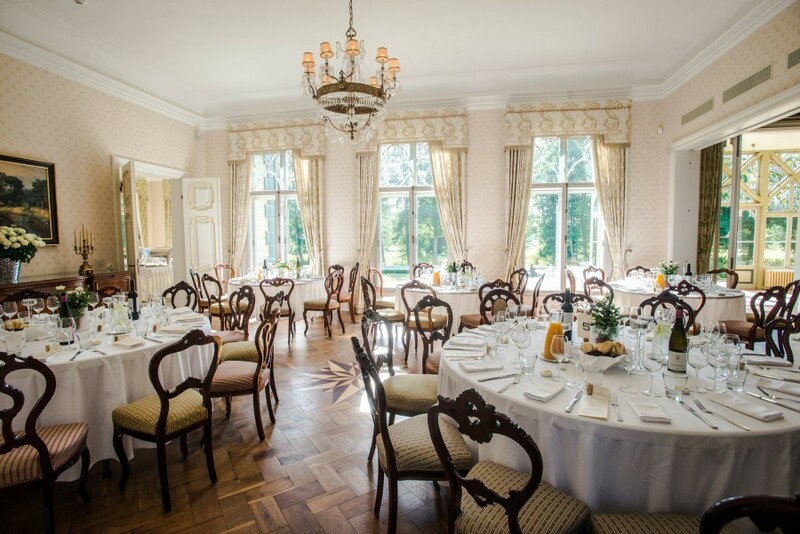 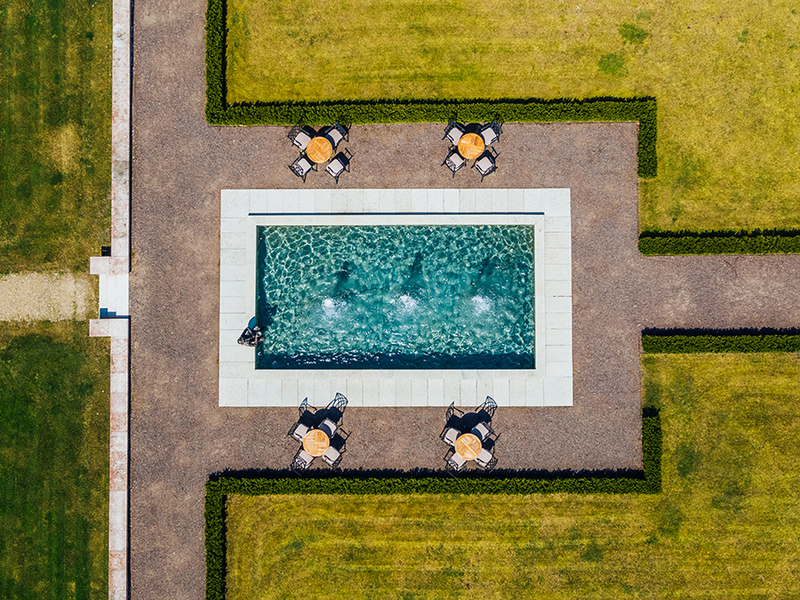 The manor is appropriate for hosting meetings, seminars, trainings and conferences as well as for receptions and functions for up to 80 people. 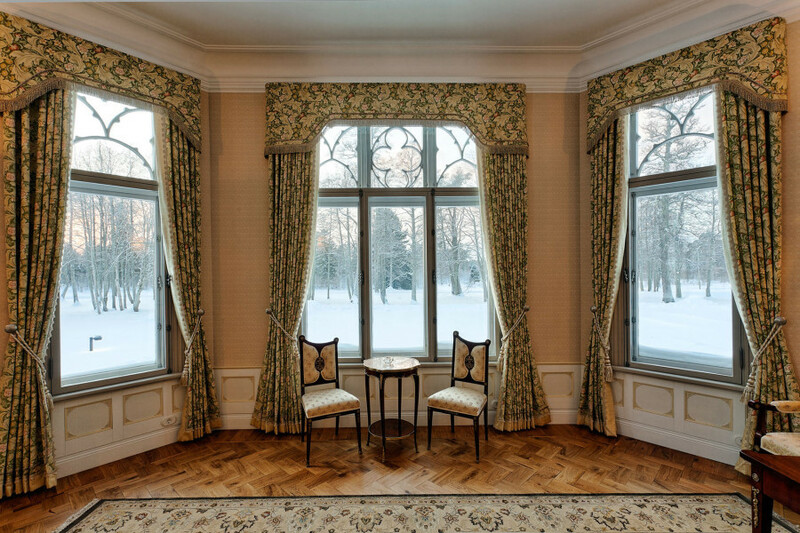 The manor has seminar and dinner tables, concert chairs, a data projector and a screen. 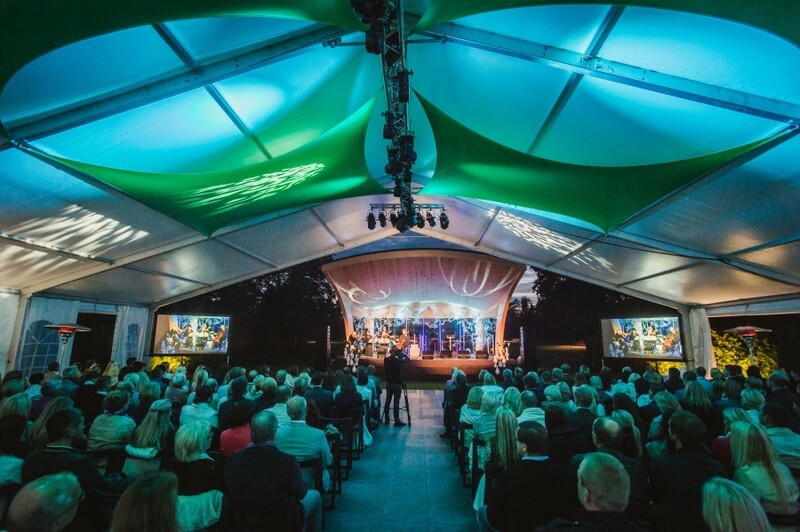 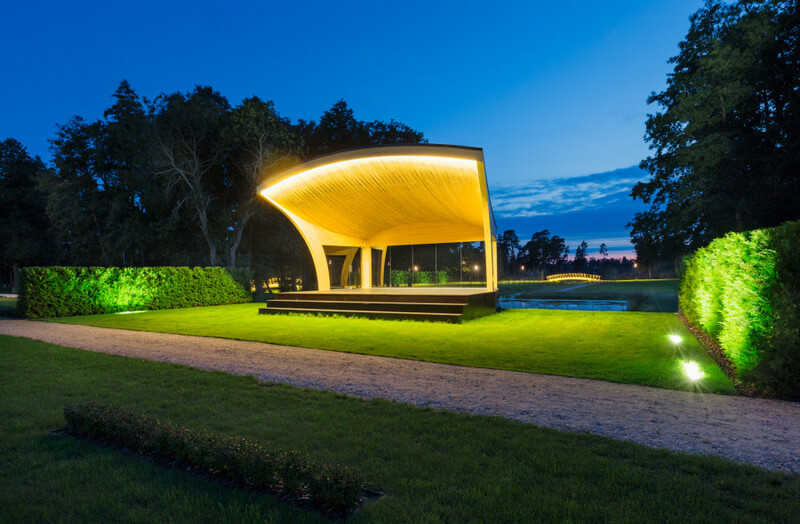 The manor garden can host concerts and performances thanks to the bandshell, a new feature from 2012. 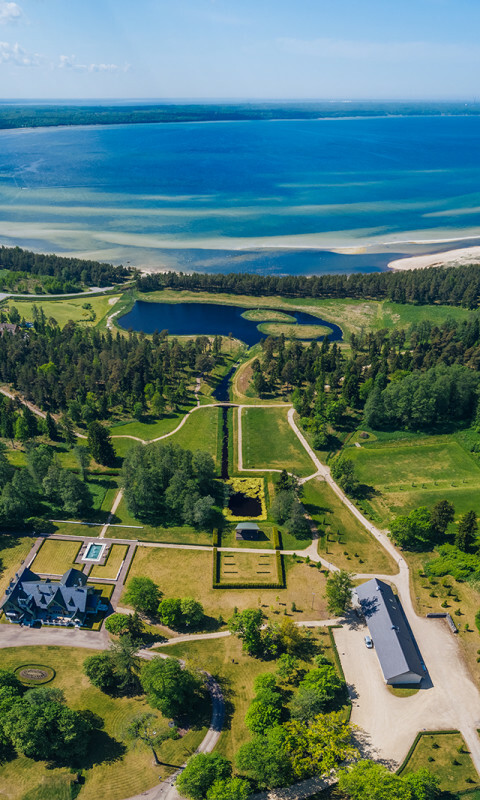 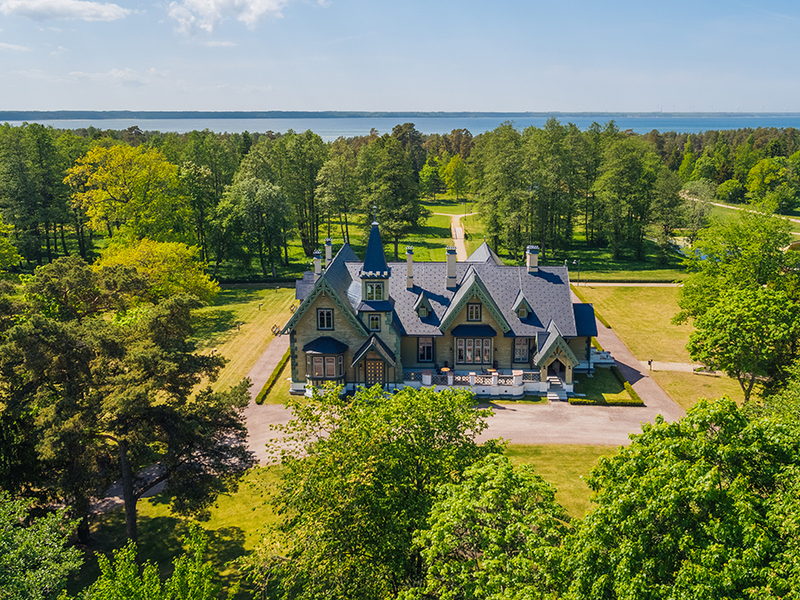 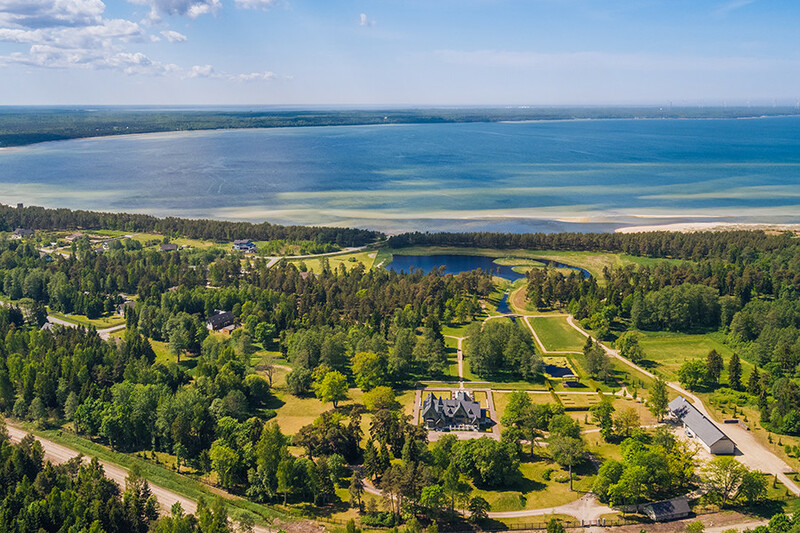 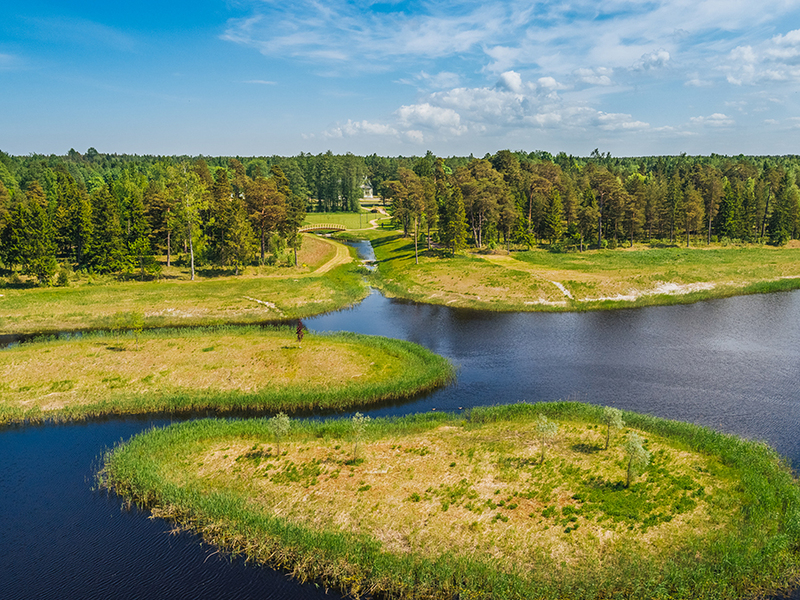 The manor is surrounded by Laulasmaa sand dunes, the sea. 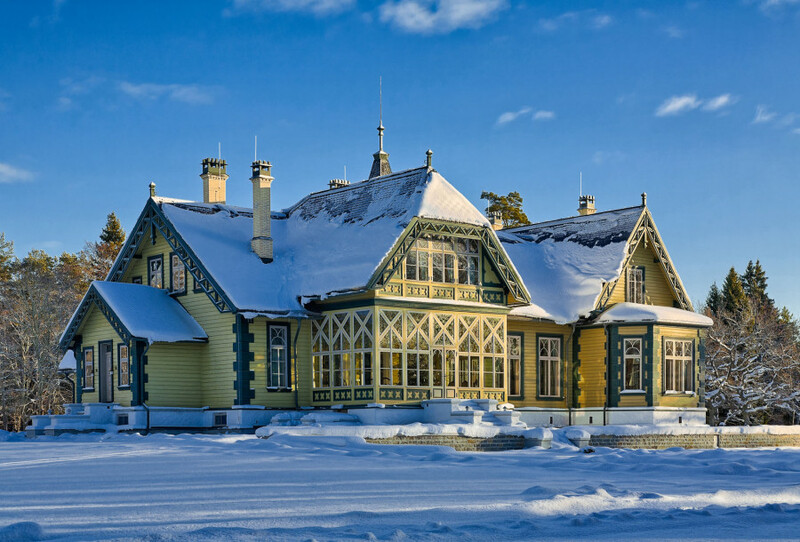 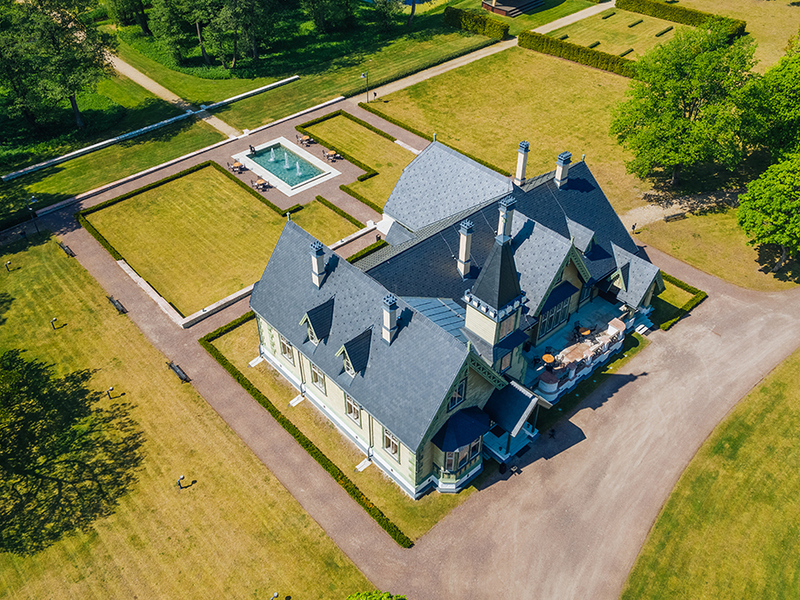 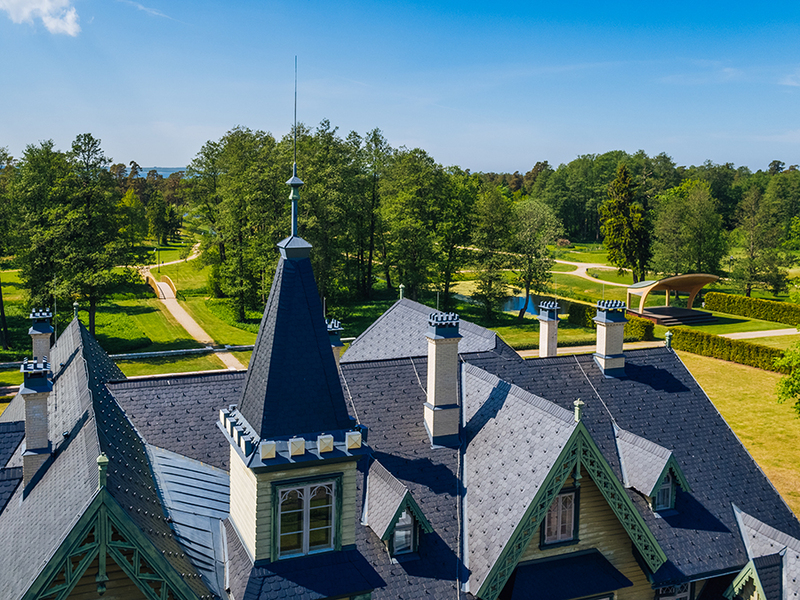 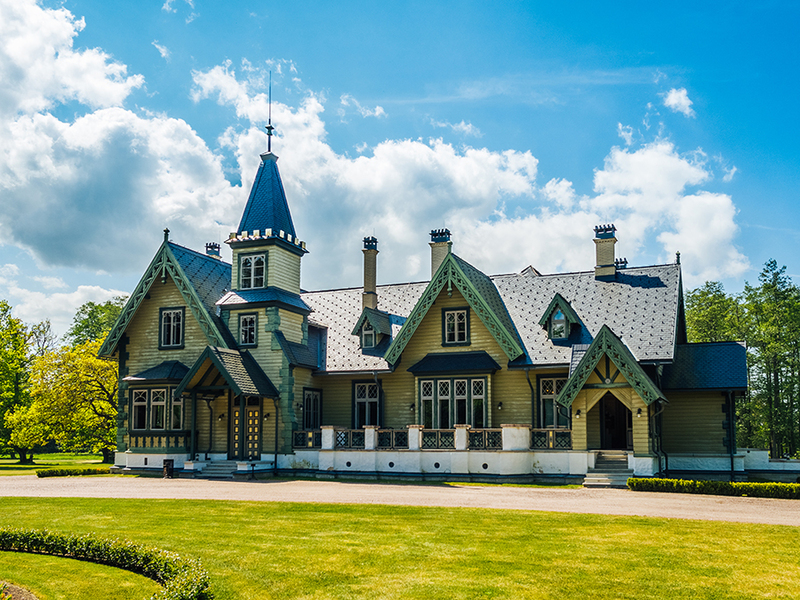 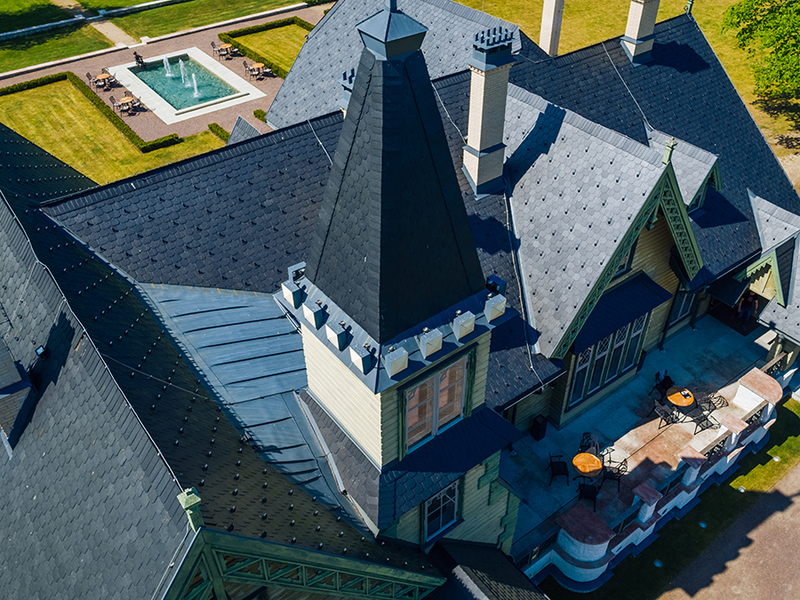 Characterized by lively architectural rhythm and echoes of Swiss-style wooden architecture, Kõltsu Manor was commissioned in the closing years of the 19th century by the Baroness Benedicte von Uexküll. 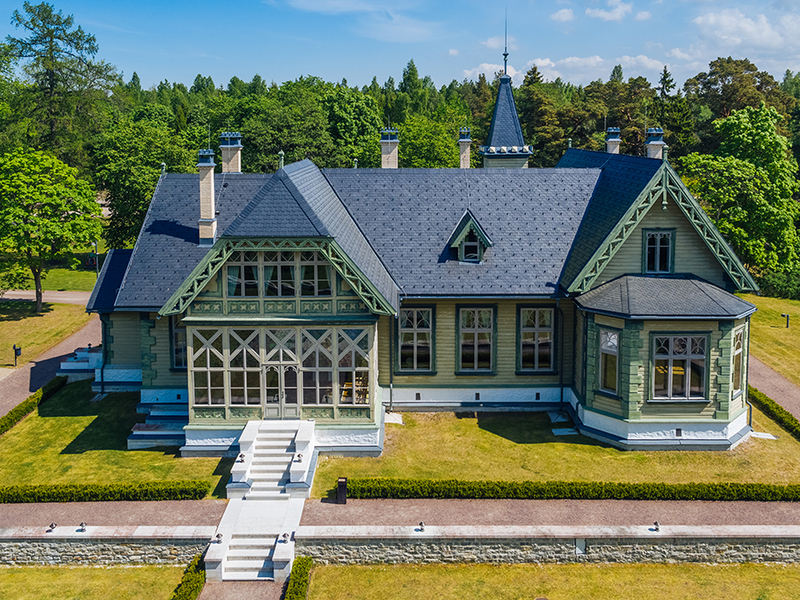 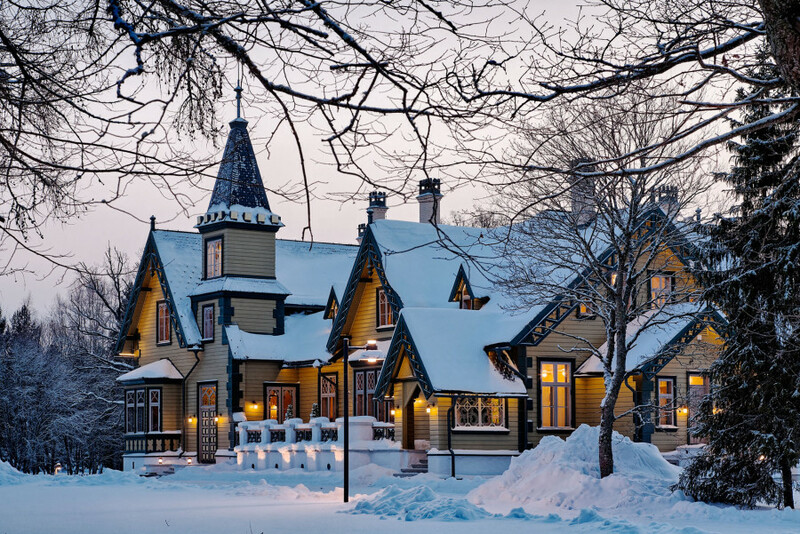 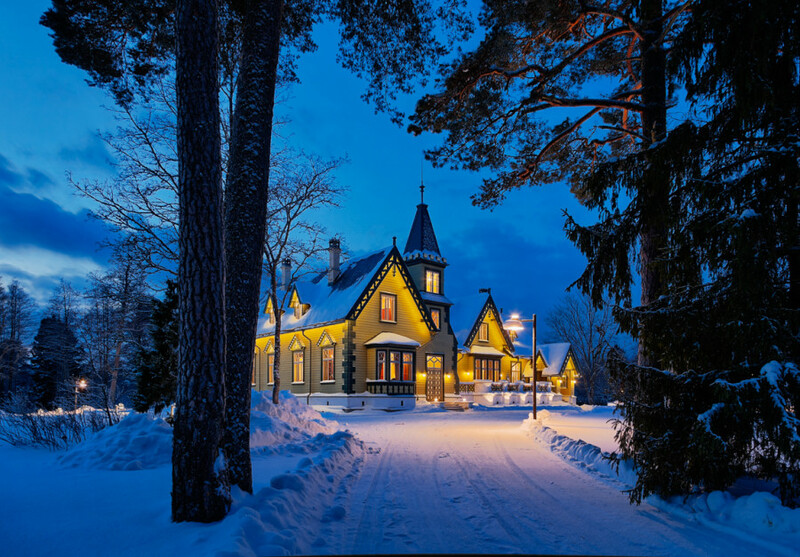 The restoration of the manor started in 2007 and the new-look Kõltsu Manor was opened in 2010. 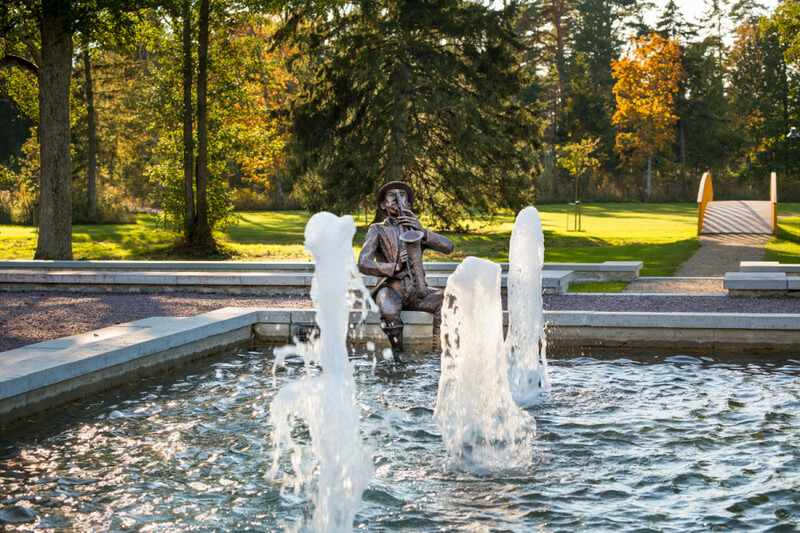 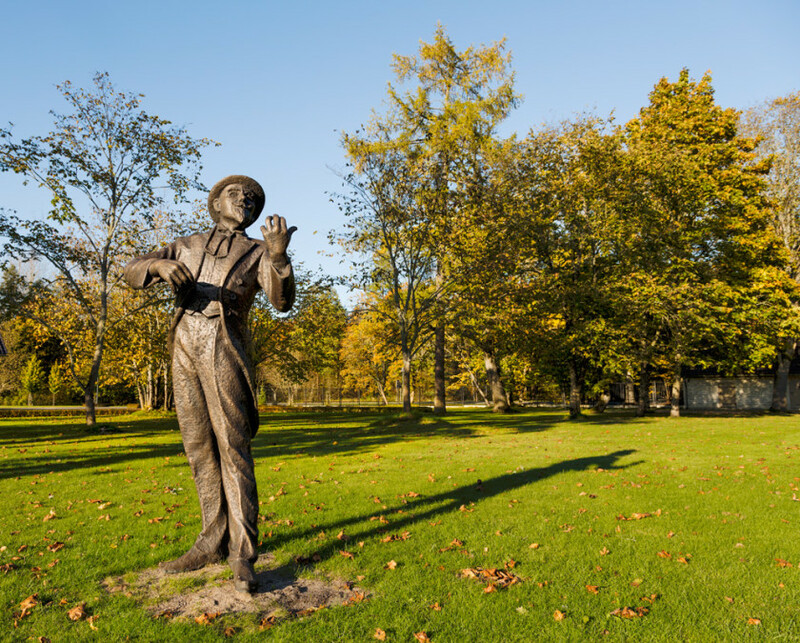 The manor park features an integrated design and is complemented by bronze sculptures. 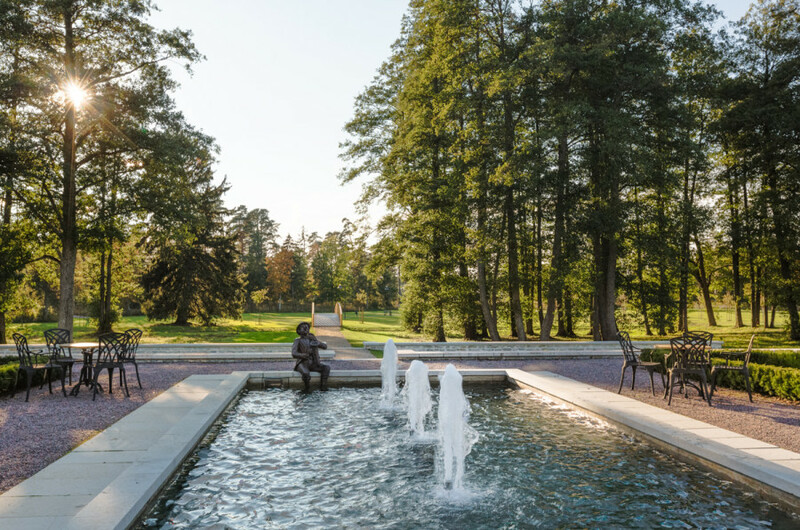 The garden makes a smooth transition to forest park where well-groomed paths lead over light arched bridges and around an island-dotted lake to the seashore. 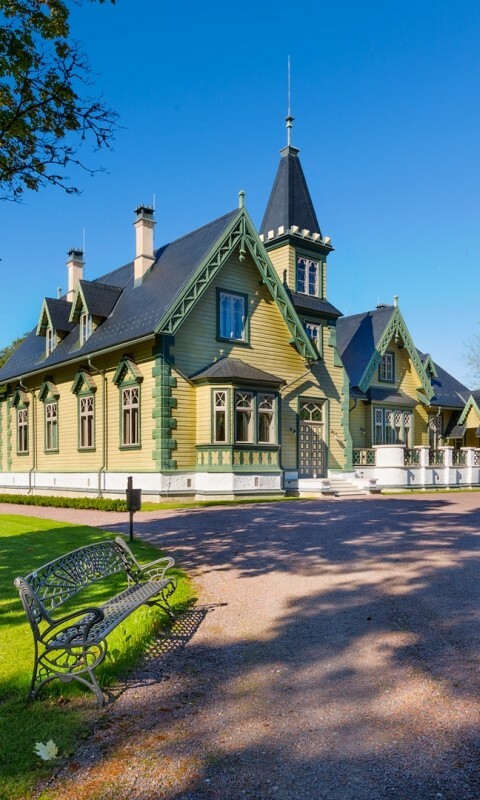 The manor building was restored in its original form, a residence. 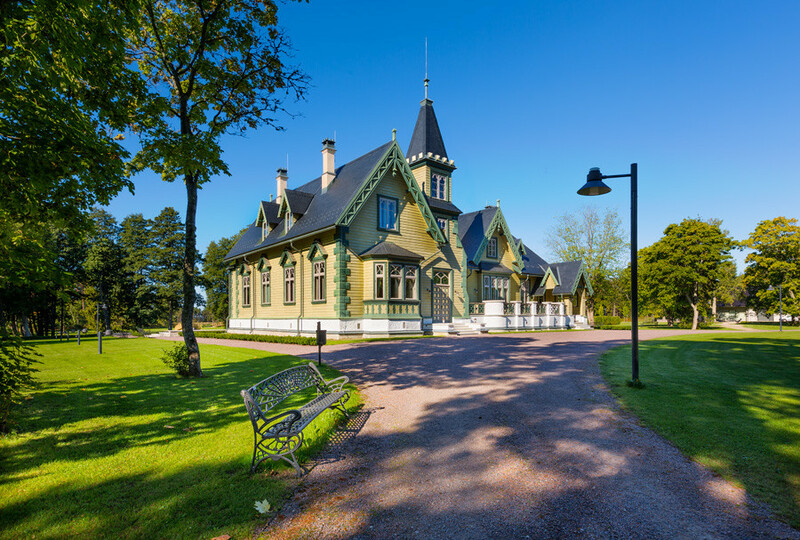 There are renovated doors, windows with beautiful wooden arches, two ceramic wood-burning fireplaces and the painted wood ceiling in the dining hall. 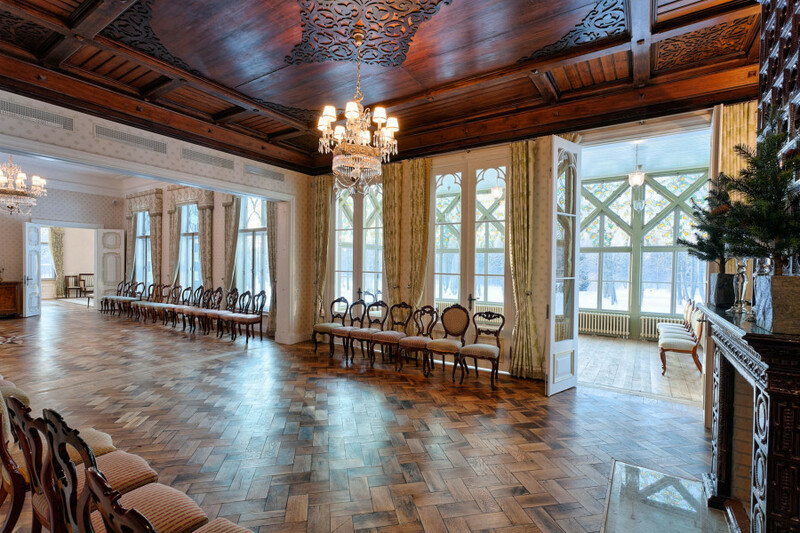 The floor of the main hall consists of authentic parquet that is now adorned by a wind rose restored according to the original design. 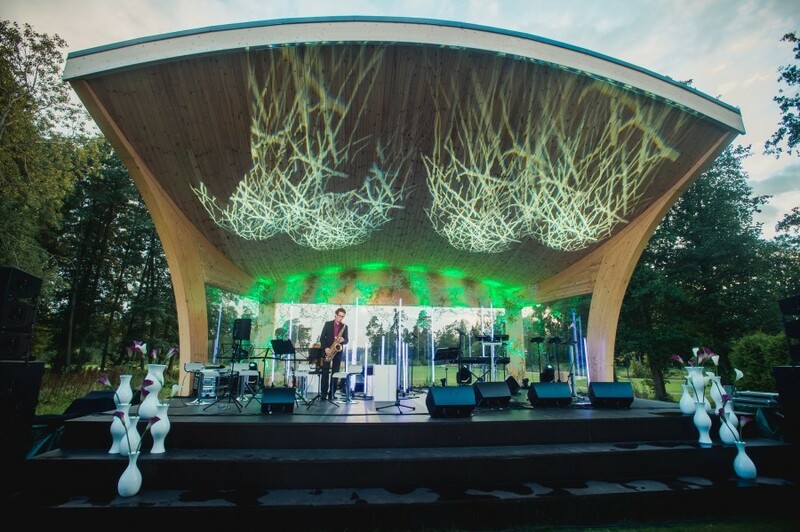 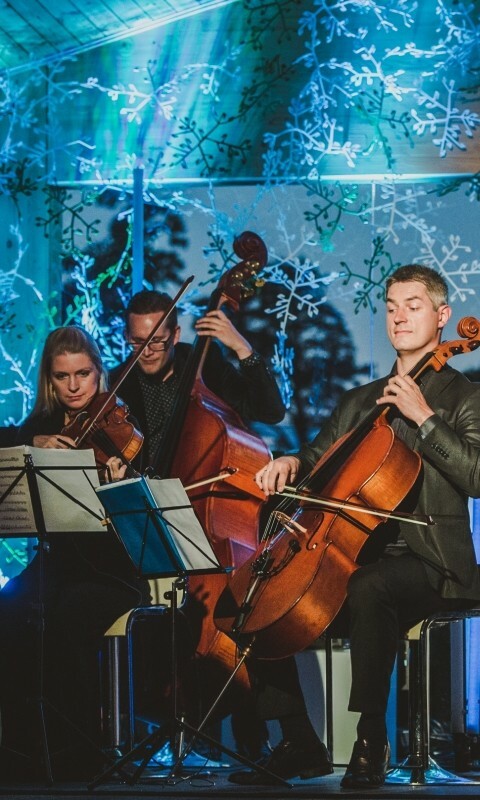 We are pleased to host different events – concerts, performances, seminars and trainings, receptions and private parties.